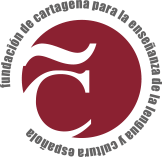 Welcome to FUNCARELE, a school specializing in teaching Spanish as a foreign language, based in Cartagena. 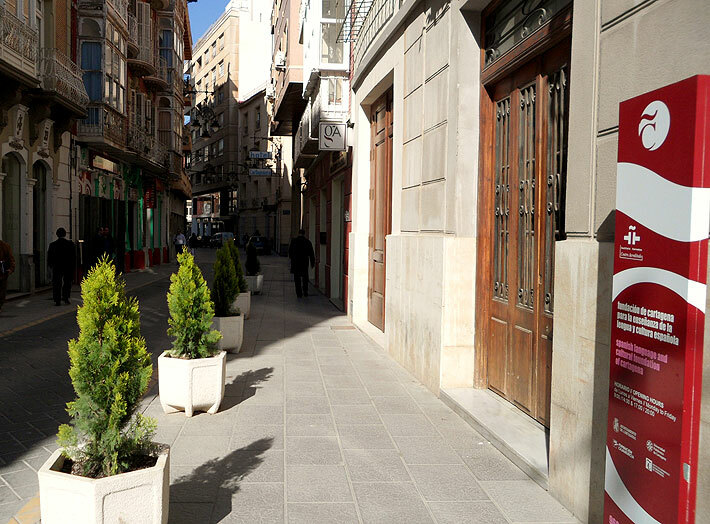 We are an accredited Cervantes Institute Centre, where you will learn Spanish in an easy, pleasant and practical way, with the high standards of tuition that are to be expected. We are also an official exam centre for Diplomas in Spanish as a Foreign Language (DELE), the Spanish Citizenship Test (CCSE) and Trinity College London English exams. You will have at your disposal unique facilities located in a privileged area of ​​the historic centre of Cartagena. 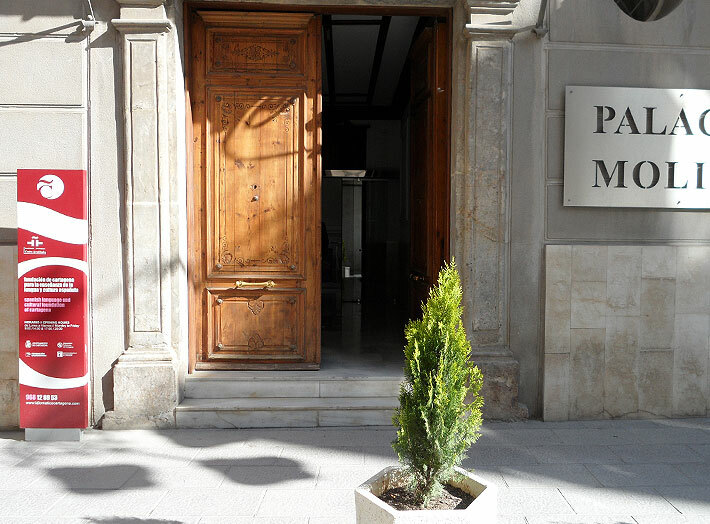 We carry out the bulk of our activities in two separate buildings: The Palacio Molina and the nearby Faculty of Business Studies. 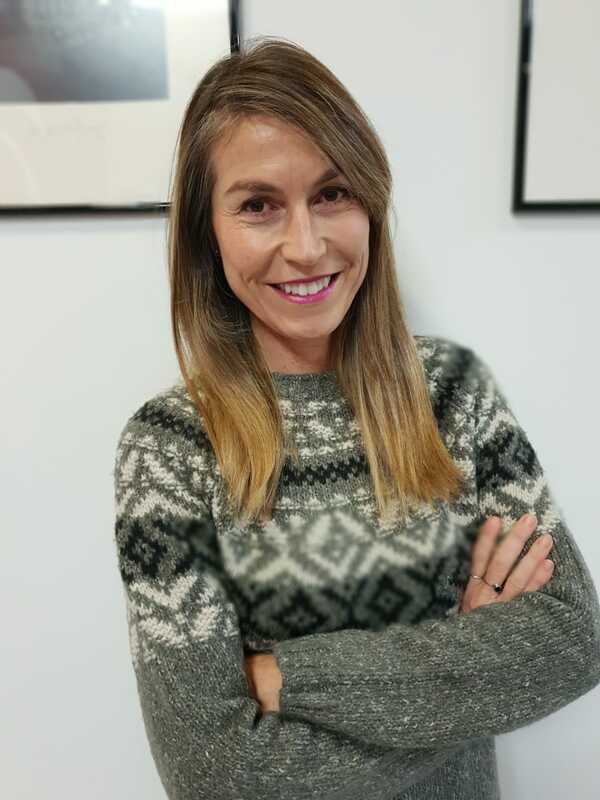 In addition, our Academic Coordinator is in charge of the Languages Department of the Cartagena Polytechnic University (UPCT), which is located on the University’s “Muralla del Mar” campus, ELDI building, 3rd floor. Moreover, the centre also has the full support of the Town Hall. 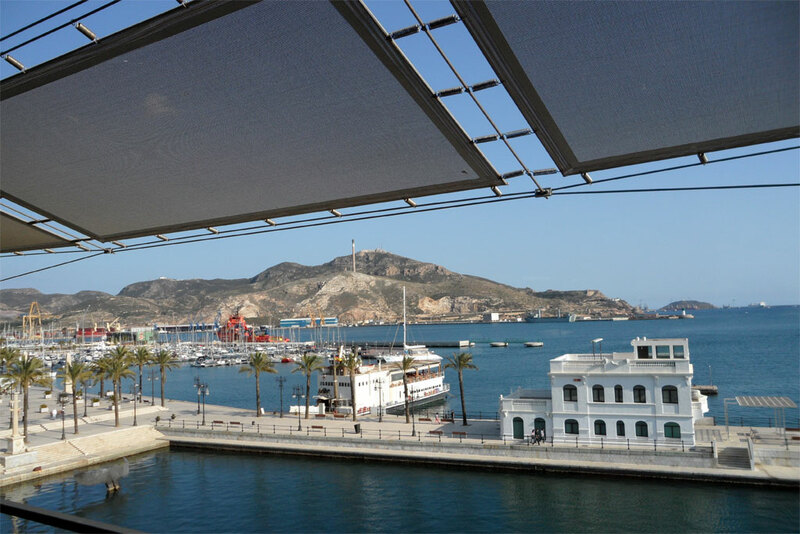 Here in Cartagena, mere metres from the Mediterranean, you can enjoy the wonderful cultural offerings, and the historical and maritime surroundings. You will also have at your disposal all the services offered by the University: its libraries, computer rooms, study areas and dining facilities, all in a lively university environment. This magnificent 18th-19th century mansion serves as our administrative headquarters. 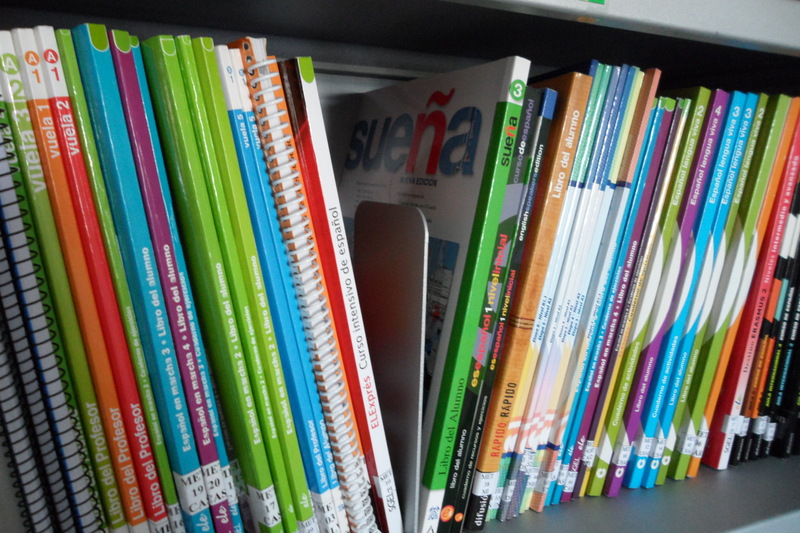 It has 2 modern classrooms, a staff room, video library, cultural exhibition room and a library with over 500 books for studying Spanish. Here, in the Palacio Molina, Alina and Mila of our administrative team are always on hand to take you through the registration process for our courses or exams. In addition, they will provide help finding suitable accommodation, recommend enjoyable activities, and deal with any queries that you may have. 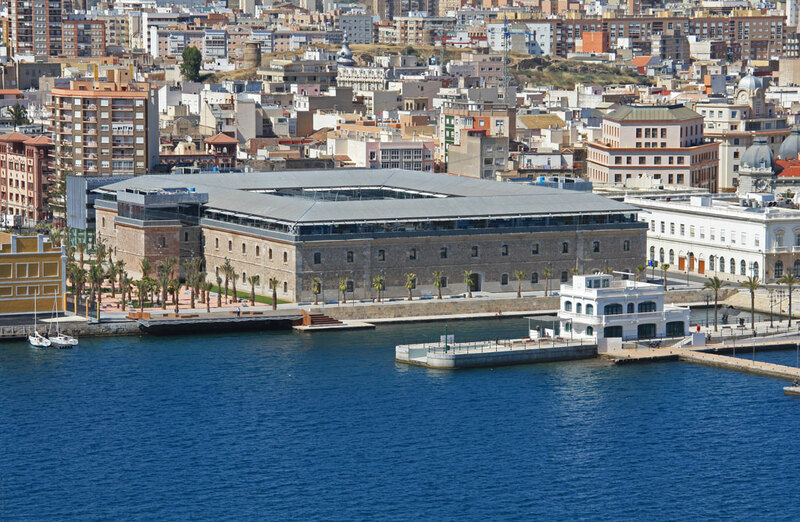 Built in the 18th century, the building originally served as a prison and later as a naval academy. Nowadays it forms part of the Cartagena Polytechnic University. 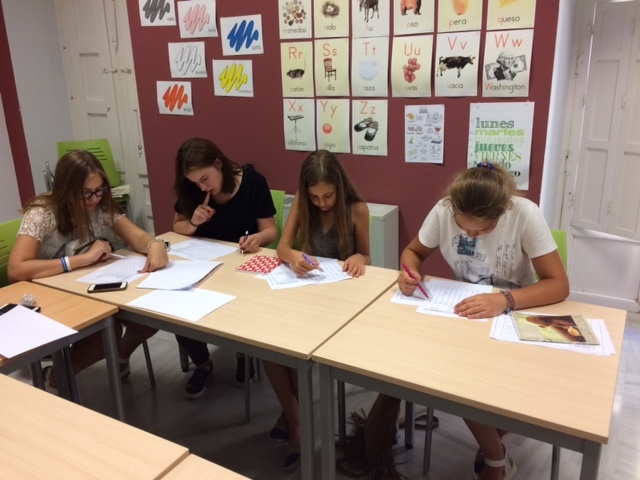 Here, we offer Spanish courses for school groups, summer courses, Trinity preparation courses, as well as carrying out official DELE, CCSE and TRINITY exams. Funcarele have two offices and 3 classrooms at their disposal in the faculty, with access to any additional rooms that may be required for our activities. 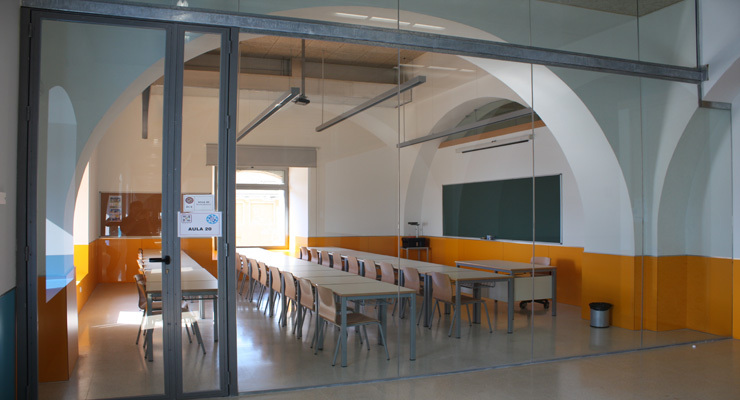 Each classroom has plenty of natural light and is fully equipped with a projector, audio equipment, internet access, etc. In addition, our students have full use of the study and reading rooms, which offer spectacular views of the Mediterranean, as well as the library, dining room / cafeteria and a pleasant open-air courtyard. Both buildings are fully accessible for people with limited mobility and are located within a five-minute walk of each other. View the map here. We are very proud of our teaching staff, all of whom have been carefully selected based on their professionalism, experience, enthusiasm, empathy and vocation. 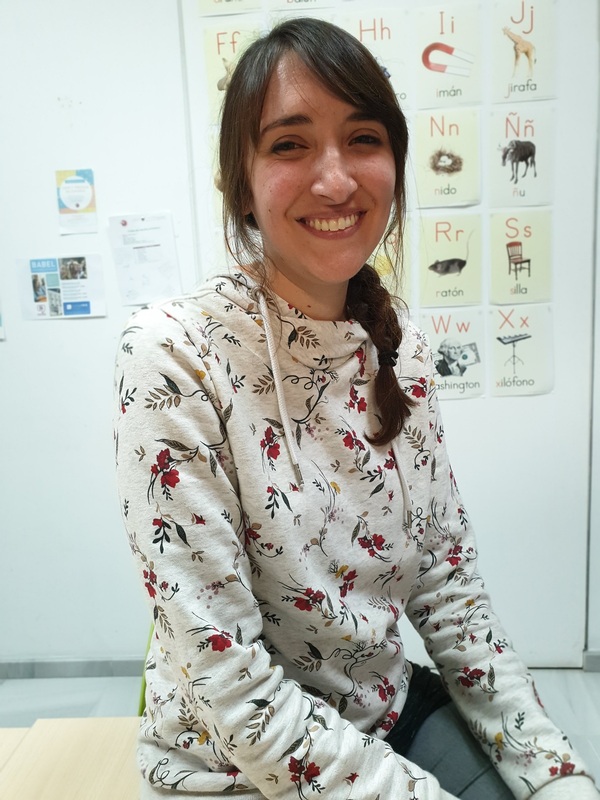 Our regular team consists of 8 marvellous teachers, of which our Academic Coordinator and two other members of staff are also Spanish teachers at the Languages Department of the Cartagena Polytechnic University. During peak times, we work with additional teachers according to the number of students. These are all native Spanish speakers with university degrees and extensive experience, who specialise in the teaching of Spanish as a foreign language. Our teachers work together to continuously develop, plan and update the centre’s educational programme; in order to keep up-to-date with the latest teaching methods, they attend annual training courses, partake in observational classes, and analyse their students’ progress. Each staff member has worked hard to design a programme that is both interesting and highly effective. 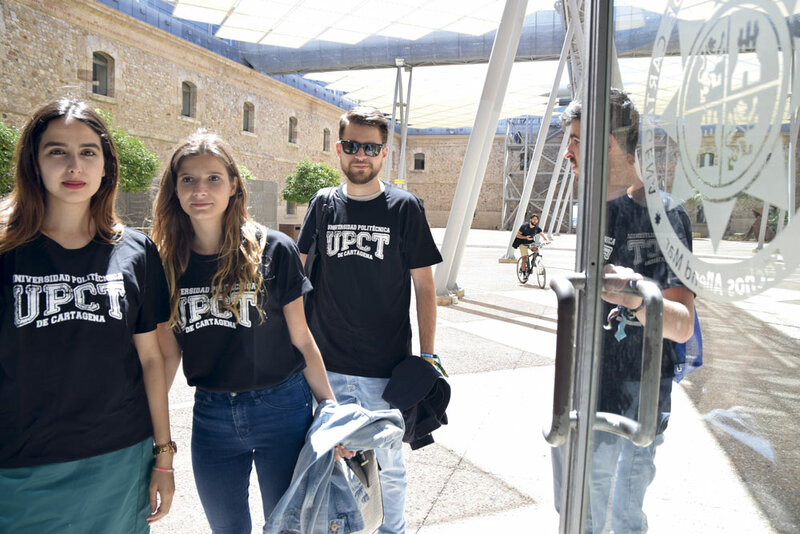 Their dynamism, outgoing personalities and vocational motivation all mean that you will come to look on them not just as teachers, but also as friends, both during and after your studies in Cartagena. Hello! I’m Juana Mari. I have degrees in Geography and History and in English Language and Literature from the University of Murcia and I’m a specialist in teaching Spanish as a foreign language. Since December 2009, I have been working as the Academic Coordinator for the Spanish Language and Culture Foundation of Cartagena (Funcarele). I have also taught Spanish and English at the Languages Department of the Cartagena Polytechnic University since September 1999 and am a DELE examiner of all levels. Most of the Spanish courses I teach are aimed at Erasmus students at the beginner (A1), elementary (A2), and intermediate (B1) levels. As a specialist in English, I have carried out numerous tasks including training, translation and preparation of official exams. Furthermore, I have been the Academic Coordinator for the Trinity exams since 2010. If you need to contact me, I can be found in the Department of International Relations on the Muralla del Mar campus (3rd floor of the ELDI building). 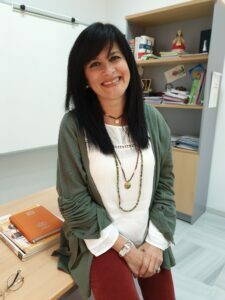 Hi, I’m Rocío, the longest serving Spanish teacher in Funcarele. I graduated from the University of Granada with a degree in Slavonic Studies, later obtaining Qualified Teacher Status certification at the University of Murcia. Since then, I have completed many courses for teachers of Spanish as a Foreign Language, and continue to refresh my skills on a yearly basis. 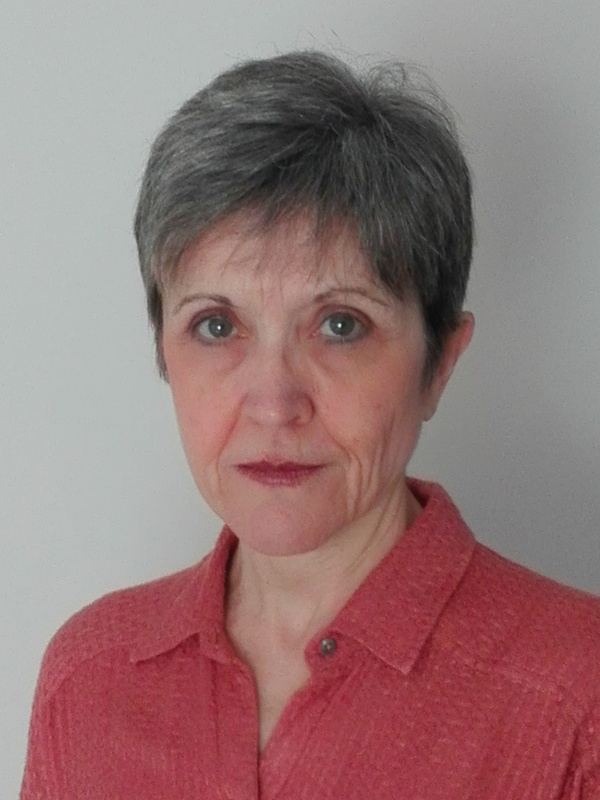 I started my career as a Spanish as a Foreign Language teacher in 2000, and have worked in various official language schools and private centres, both in Spain and abroad. Since 2008, I have been working at FUNCARELE, where I teach Spanish language and culture classes at all levels, as well as being a DELE trainer and examiner, and providing teacher training. I actively participate in academic coordination, and I continue to train in my speciality. I also speak English and Russian. Hello! My name’s Monica and for the last three years, I’ve been providing classes with an “Argentinian touch” at Funcarele. I’m a primary school teacher, a DELE examiner and hold a degree in Languages. With a career spanning 30 years, I have received training in 4 countries and taught 3 different languages ​​(Spanish, Portuguese and English) at all levels of education, in both public and private institutions. I have also participated in government education commissions and been a member of Higher Education Assessment Tribunals. Whether teaching my students, sharing ideas with them or learning from them, I can honestly say that I love my profession. I enjoy working in Funcarele as it enables me to discover new cultures and learn all about them thanks to my foreign students. Hi! My name’s Agustina and I’m half-Argentinian, half-Spanish. I graduated from the University of Alicante with a degree in English Language and Literature, and a Master of English and Spanish as Foreign Languages. I spent several years living and working abroad in various different countries, where I taught Spanish in universities, primary and secondary schools. I came back to Spain in 2018 and moved here to Cartagena, which is a great place to live! I currently teach various different groups at Funcarele, working mainly with students who are just getting started with the language. Hi, I’m Marcela, a Spanish teacher and DELE examiner of all levels at Funcarele. I originally studied for a degree in Education, specialising in Spanish language and English, and I later obtained a Spanish Language and Literature degree from the National Distance Education University (UNED). 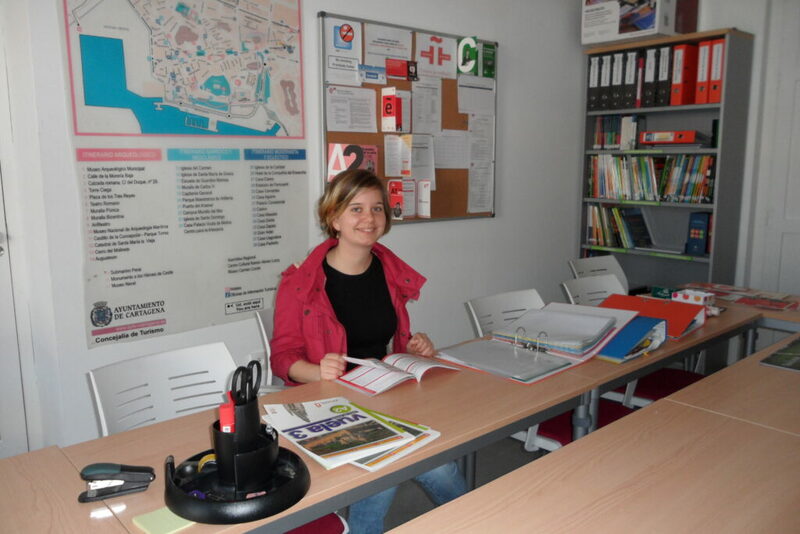 I have also completed numerous training courses with various educational institutions in order to keep up-to-date with the latest methods and to continue developing my skills as a teacher of Spanish as a Foreign Language. In my 22 years of experience as a teacher, I have prepared ELE students of all levels. In addition, I have provided teacher training and worked as a DELE examiner in several countries. 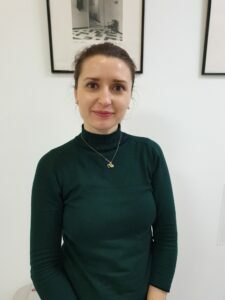 I have been with Funcarele since 2009 and am currently an examiner and in charge of teaching classes and preparing students for all levels of the DELE exam via Skype. I love literature, learning languages, hiking and music. Hi, I’m Ladislao Ortiz Lázaro. I graduated from the University of Murcia with a degree in Spanish Language and Literature, along with a Specialist Certificate in Teaching Spanish as a Foreign Language. Since 2001, I have been teaching Spanish in numerous institutions around the world, including the Cervantes Institute in Kuala Lumpur, various universities in Malaysia, Panama and the University of Murcia. I currently teach Spanish via the Cervantes Institute’s online platform, AVE Global, as well as providing training for future teachers, and working as an official DELE examiner. My levels of experience and training are constantly growing, and I still have the same passion for my profession as the day I started, which allows me to help my students learn Spanish in the best possible way. Hi, my name’s Rubén. 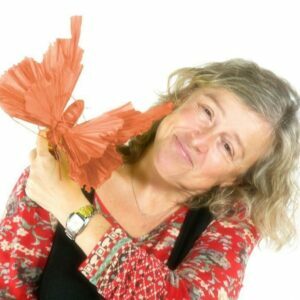 I have a degree in Spanish Language and Literature from the University of Murcia and a Master’s degree in Spanish Teacher Training from the University of Alcalá de Henares, where I also began my teaching career. I’m extremely passionate about my chosen profession and regularly attend training courses to continue developing my skills. I have worked as a teacher in various institutions and I’m also an official DELE examiner for the Cervantes Institute. 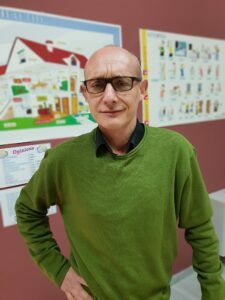 I have been working at Funcarele since the start of 2019, where I have the pleasure of teaching students about our rich language and culture. Hello! I’m Marta Clemente Carrillo. 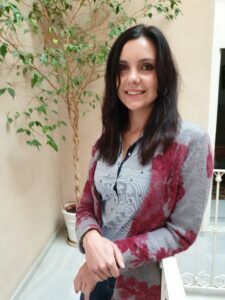 I graduated from the University of Murcia with a degree in English Language and Literature, in addition to a Specialist Certificate in Teaching Spanish as a Foreign Language, Qualified Teacher Status certification and a Diploma of Advanced Studies. I have done numerous courses on the teaching of Spanish as a Foreign Language (ELE), as well as others on general language teaching. Since 2001, I have been a teacher in the Languages Department of the Cartagena Polytechnic University, where I have been teaching ELE classes since 2004. In 2009 I joined the team at Funcarele. I have taken part in various international conferences, and in several editions of the Practical ELE Teachers’ Conference organized by International House. 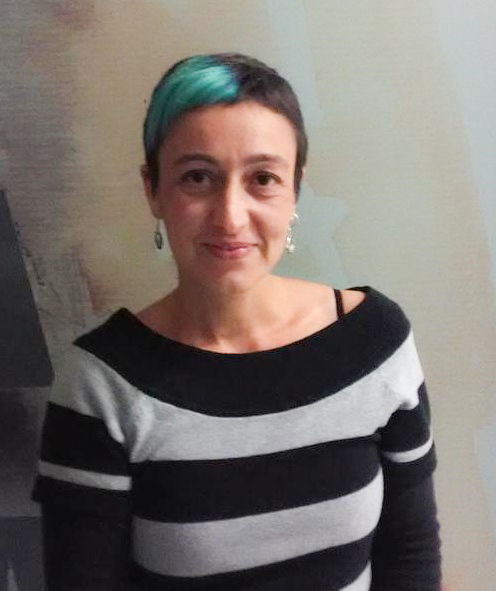 I speak English, German and Italian, and have extensive experience in the organisation of language courses and extracurricular activities such as excursions, cultural exchanges, talks and reading clubs. Hello! I’m Cristina. I graduated from the University of Granada with a degree in Translation and Interpreting, later obtaining Qualified Teacher Status certification and a Diploma of Advanced Studies at the University of Murcia. 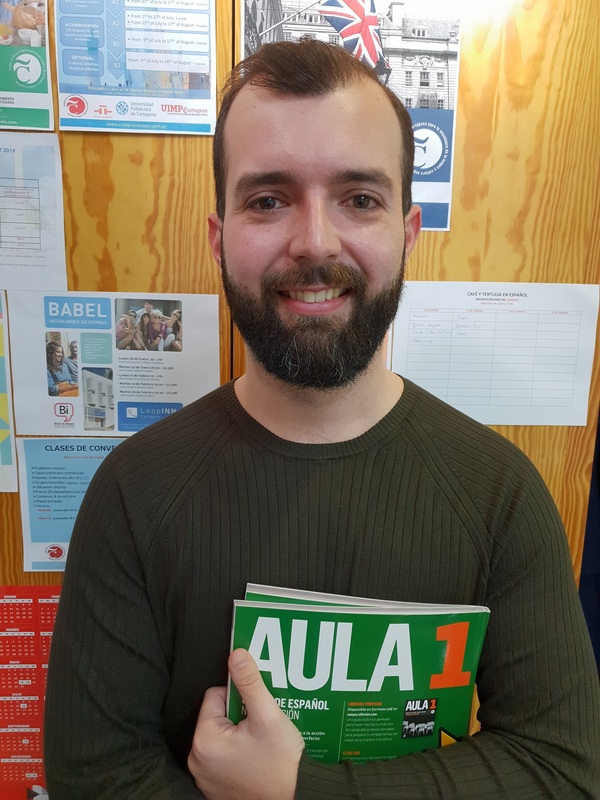 I have done numerous courses on the teaching of Spanish as a Foreign Language (ELE), as well as others on the teaching of foreign languages ​​in different educational institutions. Since 2001, I have been a teacher in the Languages Department of the Cartagena Polytechnic University, where I have been teaching Spanish, Franch and Portuguese. In 2009 I started to collaborate at Funcarele teaching Spanish and participating in cultural activities and DELE exams. 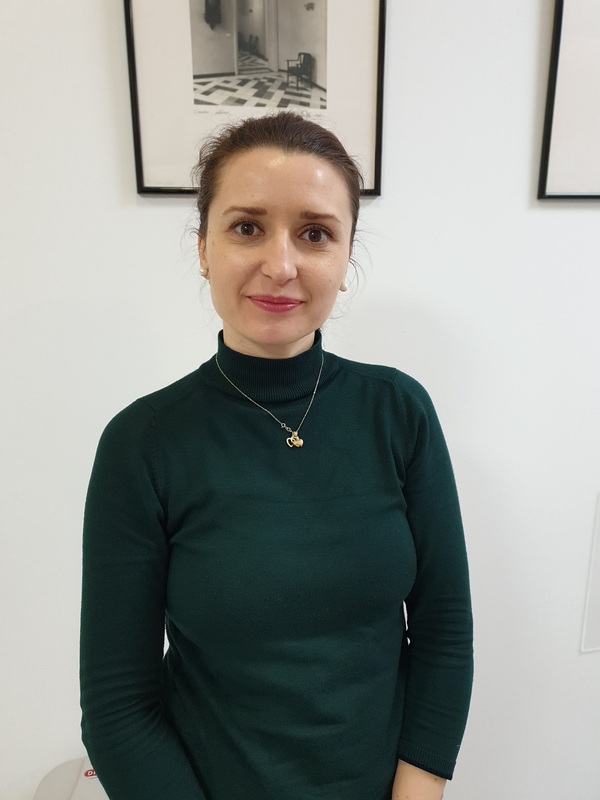 Hi, my name’s Mila Batrak and I’ve been working as the Head of Administration of Funcarele since the project started in 2008. I have a degree in Tourism and another in Advertising and Public Relations, obtained from the universities of Cartagena and Murcia respectively. I’m in charge of the day to day running of the school, organising activities and dealing with clients in Spanish, English and Russian. Hi, I’m Alina. 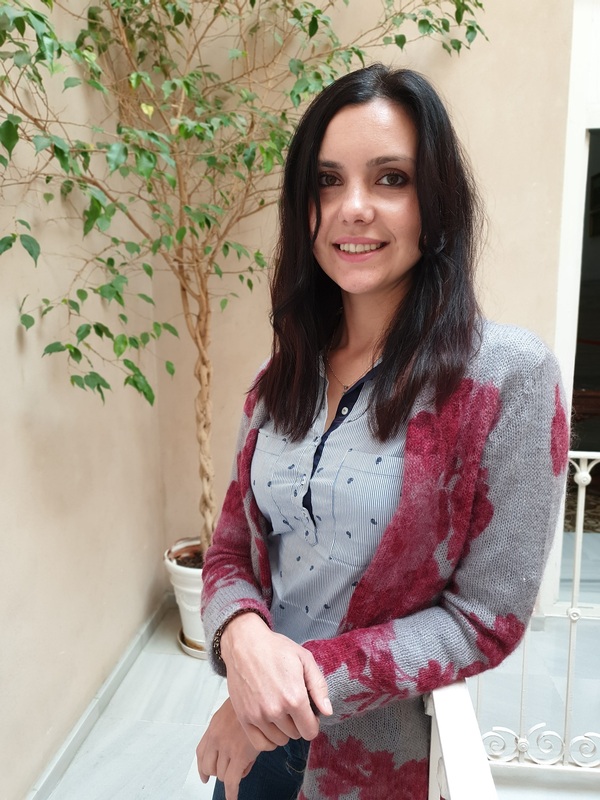 I’m from Romania and I originally came to Cartagena as part of the Erasmus programme whilst studying for a Master’s degree at the Faculty of Business Studies. After finishing an internship in the UPCT’s Department of International Relations, I made the decision to relocate permanently to this beautiful city which stole my heart the moment I first set foot in it. I’m a very sociable and cheerful person who adapts easily to different environments and cultures. I’ve been working at Funcarele since 2016, providing customer service and carrying out administrative tasks. I love everything about my job, from the first contact I have with people interested in learning the Spanish language, to organising everything for the DELE, CCSE and Trinity College London exams. 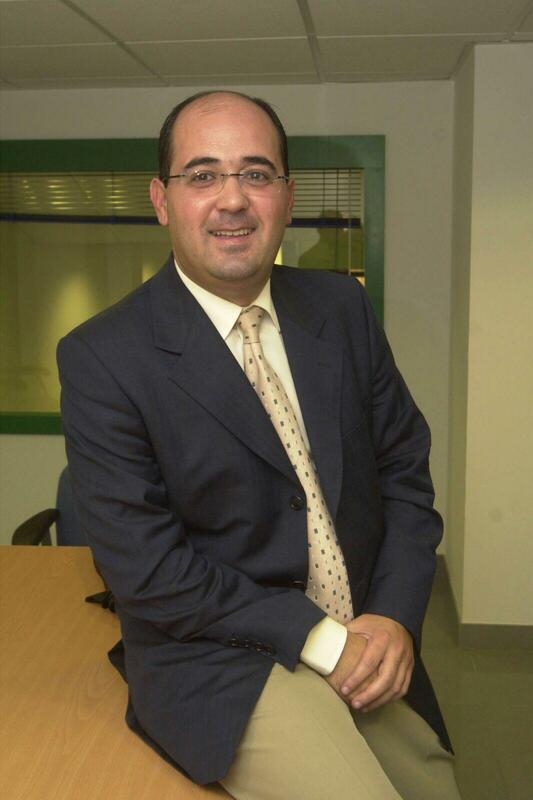 Hi, I’m Miguel Martínez, a Law graduate and president of Funcarele. I’m responsible for the management of the foundation’s administrative, economic, commercial, fiscal and legal dealings, as well as overseeing our staff. In addition, I’m president of the Chamber of Commerce of Cartagena and of the Permanent Consortium of the Menéndez Pelayo University in Cartagena (UIMP). I am also a lawyer and an associate professor at the Cartagena Polytechnic University (UPCT).